‘One Welfare’ is understanding the interdependency between Human and Animal welfare, Biodiversity and the Environment. Companion animal ownership contributes both positively and negatively to One Welfare. By considering this from both narrow and broad perspectives, the aim of this talk is to engender holistic, critical, objective and creative thinking around this, frequently, emotive topic. When considering Companion Animals and the Human-Animal Bond, the focus is often on pets and the positives outcomes of ownership for both us and them. These include the emotional and physical benefits that a pet can facilitate, be that lowered blood pressure, increased exercise, and giving us a ‘someone’ to share our joys and problems with. For the individual animal, positive aspects include advances in veterinary care, more humane methods of training, and progressive legislative steps as in the Animal Welfare Acts, introduced only a dozen years ago. For many the darker side of companion animal ownership may only comprise concern for the individual animal’s welfare; as in cases of relinquishment and rehoming, inappropriate/problematic animal behaviour, abuse or neglect. However, it is increasingly recognised that people’s welfare may also be compromised. So-called irresponsible owners may simply be so through ignorance; for example they may have received inappropriate advice on what would be a suitable pet or how to train it. Others may have economic, housing, physical or psychological factors that influence their abilities to provide effectively for their own and/or their animal’s welfare. Beyond the immediate horizon of the individual, keeping companion animals has direct and indirect impacts on society, other animal species, biodiversity and the environment. These include the animal’s origin (bred by people or wild caught) and land use. To conclude, some discussion thoughts for sustainable and ethical pet keeping will lead to the next lectures. Anne’s background is in Psychology and her PhD was on rabbit behaviour. She has been privileged to have worked with a wide variety of domestic and exotic species. 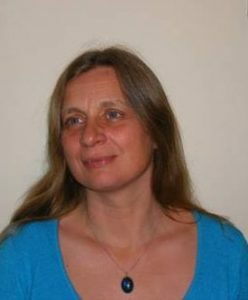 She started practising as a Clinical Animal Behaviourist in 1987 and was director of the first UK University based course in the field, which ran at Southampton University from 1994 – 2015. She lectures in Human-Animal Interactions and animal behaviour nationally and internationally. Her main professional goal is to help others develop their ability to be creative, yet objectively critical thinkers and practitioners. She feels this is essential if current and future knowledge of both humans and animals is to be applied successfully to the welfare improvement of all. Her main personal goal is to grow old whilst never truly growing up, and to continue learning and laughing all the way!